At first I thought aliens placed that there and then I noticed that it is being held up by strings. Just like in the movies. But realerer. The sunset is fabulous. Keep snapping those pictures: most of us will never get to New Zealand. 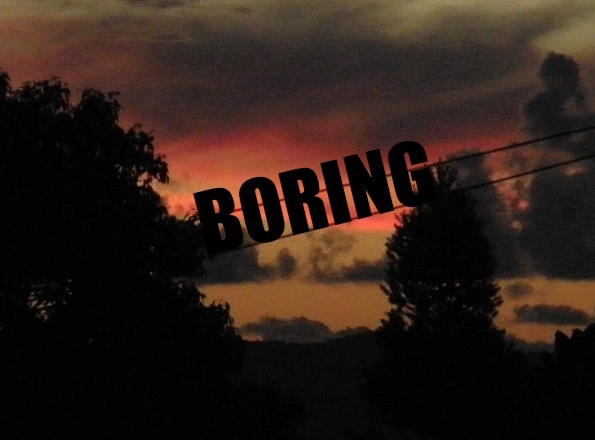 I think you should start a blog about boring New Zealand sunsets.